#1- I am a study table; not a cook-kick-dump-write table. It’s my fault actually and I agree that I have been the nonreciprocating one in this relationship. My study table keeps on bearing everything I throw its way and just keeps on going. But it may realize one day as it gets up that enough is enough and that it can’t take anymore. More so when I only ‘use’ it when I really need it for the purpose it is actually intended for and rest of the times, she is on her own. #2- One of these days, I am going to kill that bed. 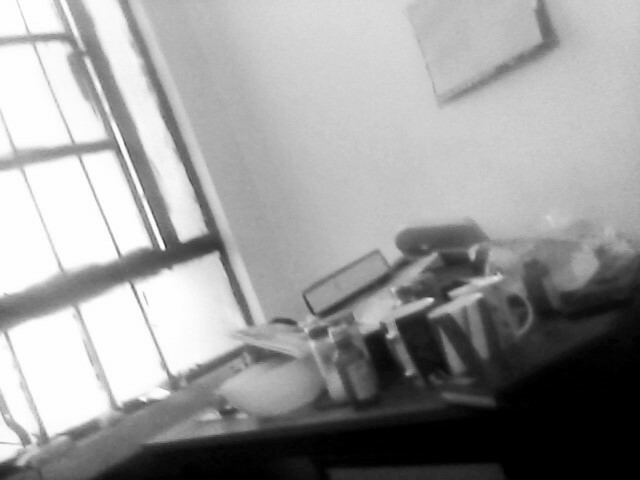 My study table is so jealous of my bed that it is secretly plotting ‘to do it in’ in the coming few days. The plan may already be ready and it might just be waiting for the right time to strike. After all, the bed gets all the contact time in the world, I study on it, read newspaper on it and of course sleep on it. My study table wishes that someday I drift to sleep on the table and it can finally get that human contact every table dreams of. But it never happens. It may have realized by now that I am a douchebag who keeps things messed up. I have a cupboard, a wall almirah and enough space for those things I send her way to deal with. But instead, I keep on testing her tensile strength and load bearing capacity just for the fun of it. We may in future see emancipation quotes from tables about how they want to become free tables. It also curses me that I do not have a fulfilling romantic relationship, so that I may understand its pain. #4- That chair is my spouse. Never separate us. I have asked my chair to take a temporary divorce from my table. That’s because I need the chair to hold books or my bag when I am studying or to hold my laptop when I sleep. Everything else, the table can live with but separating its chair from it is just past the levels of tolerance. It secretly believes that I am a sadist too who gets pleasure out of seeing two lovers in pain. #5- That cousin of mine. He made it into a government office. And here I am stuck in college. Much like us, my study table believes she could have ended up at a better place in its life. If only the order that came for 10 tables would have included it in the lot and it could have spend its life at a proper government office with so many things to play with. Instead, it is still stuck in this merciless college life that keeps taking the breath out of it. As it goes, I understand my table a little more after writing this post. You should try it too.